To gear up for Labor Day, we had a list yesterday of ways you might be cooking burgers wrong. 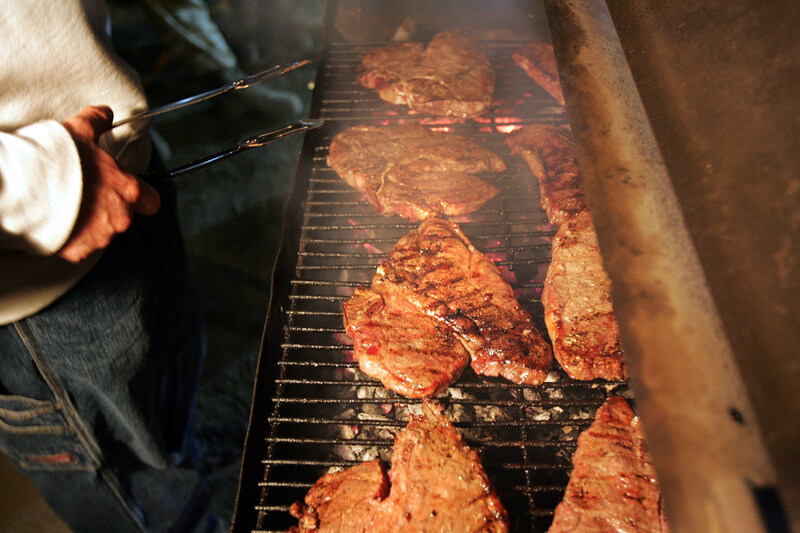 Now, here are some mistakes you might be making with steak. You don't want to leave it in the fridge right up until you grill it. You want it to be at room temperature, so it cooks more evenly. According to the head chef at Delmonico's steakhouse in New York, it's the number one mistake people make with steak. Don't put it on until the grill heats up. If you put a steak on a grill that isn't hot yet, all the juices seep out, and you end up with a dry, grey piece of meat. Don't be afraid of over-seasoning it. You shouldn't over-season a burger, because it dries it out, but you can go to town on a steak. Just make sure you season both sides of it, and then season it again after you take it off the grill. Don't leave it directly over the flame the entire time. Char both sides of it, but then move it to the corner of the grill so you don't burn the outside before the inside cooks. Don't press down on it with a fork or a spatula. Your primary job when you're cooking a steak is to keep as much of the fat in as possible, because that's where all the flavor comes from. And pressing down with something does the opposite. Don't serve a steak fresh off the grill. Take it off and let it rest first, so the juices soak back into the center. Depending on how big the steak is, you should wait about five to ten minutes before you cut into it.